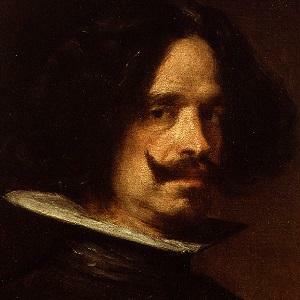 Spanish Golden Age artist who was a portrait painter for the Spanish royal family, famous Europeans, and commoners. He was admired by many realist and impressionist painters like Edouard Manet. He entered the art world at age 12 as an apprentice with the famed Francisco Pacheco. He was mentored by Pacheco for five years, learning proportion, perspective, and direct realism from him. His 1656 masterpiece Las Meninas presented a complex and intriguing portrait of life in the Spanish court of King Philip IV. He was the eldest child of João Rodrigues da Silva and Jerónima Velázquez. He and his wife died only eight days apart and were buried side-by-side at the Church of San Juan Bautista. He had two daughters named Francisca and Ignacia. He influenced the work of Salvador Dali, Pablo Picasso, and many other artists.